The thirst is out there. People who yearn for an understanding of the world in which we live, who ponder questions about theology, who want to dialogue with others and discover deeper truths—about themselves, about religion, about how we navigate this thing called life. 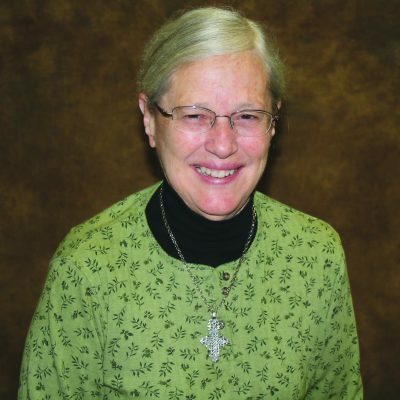 Without ever quite meaning to, Sister Frances B. O’Connor, CSC, has tapped into this yearning. 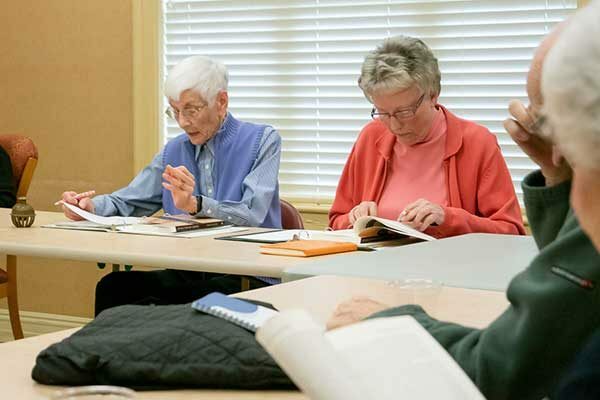 For nearly two decades, she has spent 10 weeks each fall and spring semester guiding a packed roomful of retired adults through in-depth discussions on a selected, theologically framed book. The inquisitive and questioning adults, a mix of men and women, are from a wide range of educational backgrounds, life experiences, occupations and faith traditions. 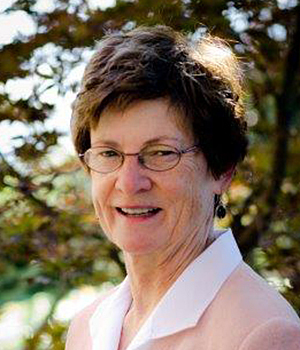 Over the years, they have offered thoughtful, reasoned questions and commentary on books such as When Women Were Priests: Women’s Leadership in the Early Church by Karen Torjesen, and Rescuing the Bible From Fundamentalism: A Bishop Rethinks the Meaning of Scripture by Bishop John Spong. But it would be wrong to characterize the gathering as a book club or to say Sister Frances “teaches” the class. 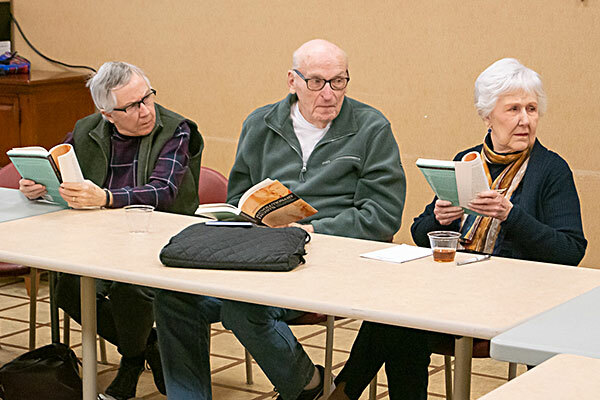 Rather, she leads the participants, assembled in the round, through an understanding of the selected book’s points of view, and moderates the discussion. All opinions are welcomed, as the participants wrestle with meanings and nuances and applications to daily living. The class began informally in 2001 when a friend of Sister Frances mentioned she had questions about a book she was reading. Sister Frances offered to help and they invited others to join in. 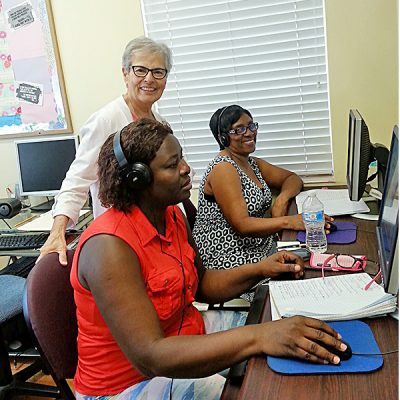 From that initial class of six, Sister Frances now hosts anywhere from 25 to 30 people each semester (some of whom have been there since day one), and maintains a waiting list of others who hope to join when an opening becomes available. 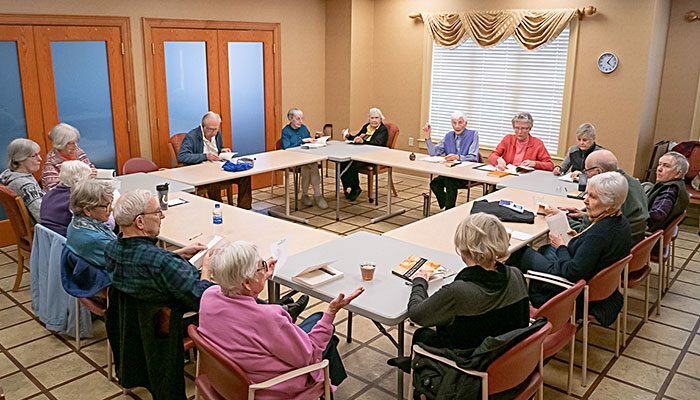 Starting out in a small classroom 19 years ago at Holy Cross College in Notre Dame, Indiana, the class is now held in a meeting room at Holy Cross Village, a senior living community on the college’s campus. 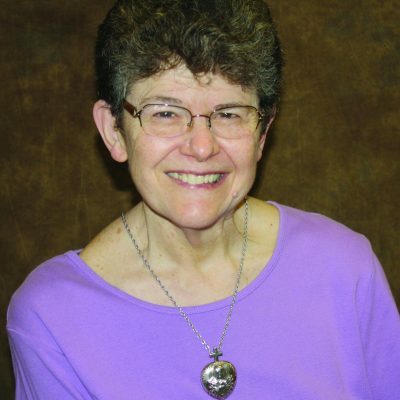 Her friend Pat Moriarty added, “I get so much knowledge and information out of this class, talking and interacting with people who have the same feelings as I do.” Pat happily points out that she is a 1953 graduate of Saint Mary’s College. To a person, the participants hold Sister Frances in high esteem, appreciating her preparedness and keen insight. 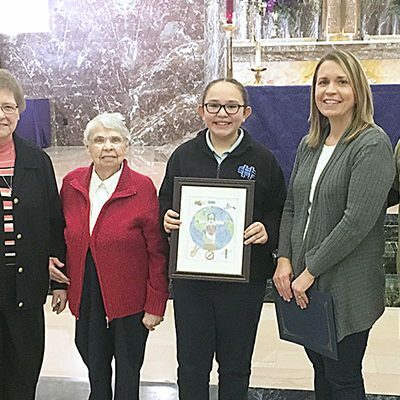 At the age of 89, when many others are well into retirement, Sister Frances exemplifies the relevancy of religious sisters in today’s world. Her varied life experiences—and her own ponderings—help inform the discussions as participants come at the issues from a variety of angles and beliefs. 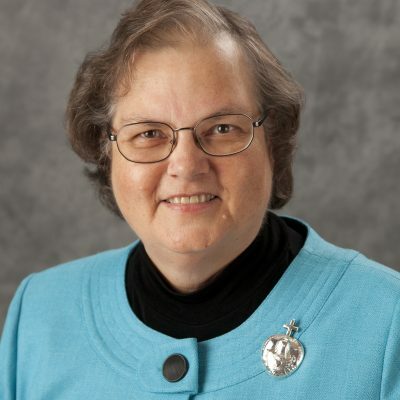 “To see someone like Sister Frances, a nun who has been active in the Catholic Church and has been really quite high up at times, she has some of the same questions that the rest of us do and that is really reassuring,” said Barbara. “Sister Frances is so well prepared. She’s an academic, very intelligent. That’s what’s so wonderful about this class, the fact that she is a Holy Cross nun,” added Denise. 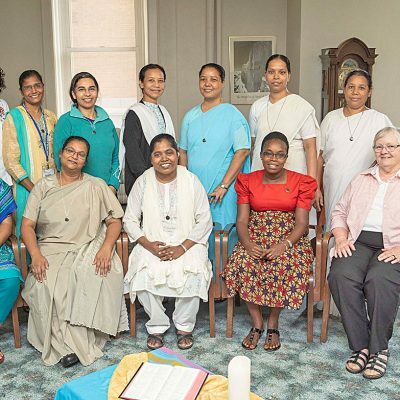 For Sister Frances, this undertaking is also yet another step in an uncharted life, which many times saw her shifting in a completely different direction than the one she thought she was following. 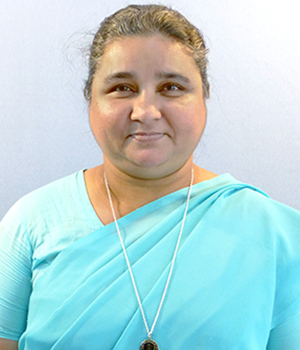 But she has always adapted and learned, whether it was being asked to be a teacher in Bangladesh, the director of the Congregation’s foreign missions, a member of the General Council and later superior general, or joining the University of Notre Dame’s Kellogg Institute for International Studies at the age of 60, during which time she was named a Hesburgh Scholar. Sister Frances’ life is a lesson in flexibility, evidencing a gift to always be able to transition to more challenging requests asked of her. “Nor would I,” added Denise.